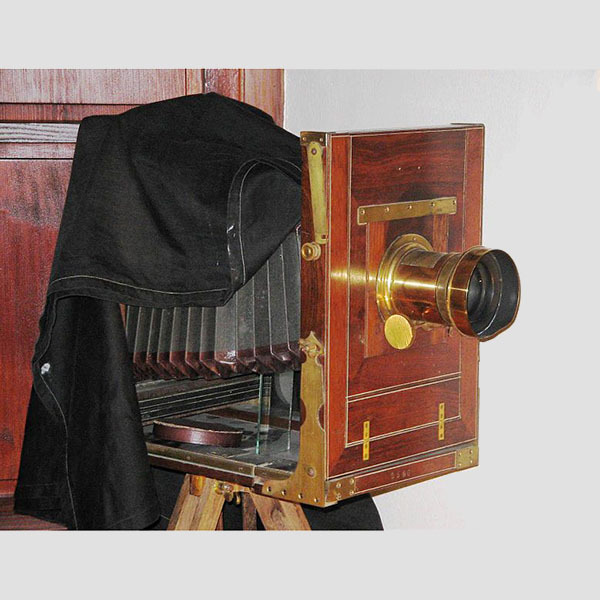 The history of photography has roots in remote antiquity with the discovery of the principle of the camera obscura and the observation that some substances are visibly altered by exposure to light. As far as is known, nobody thought of bringing these two phenomena together to capture camera images in permanent form until around 1800, when Thomas Wedgwood made the first reliably documented although unsuccessful attempt. 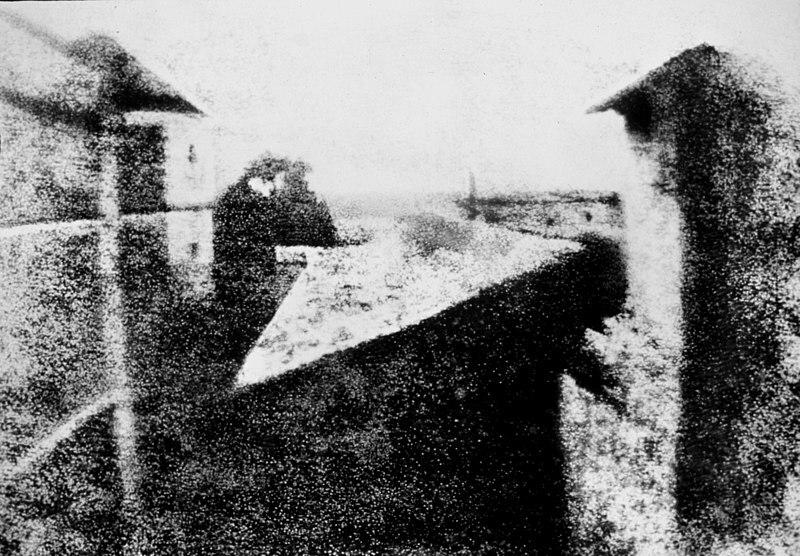 In the mid-1820s, Joseph Nicéphore Niépce succeeded, but several days of exposure in the camera were required and the earliest results were very crude. Niépce's associate Louis Daguerre went on to develop the daguerreotype process, the first publicly announced photographic process, which required only minutes of exposure in the camera and produced clear, finely detailed results. 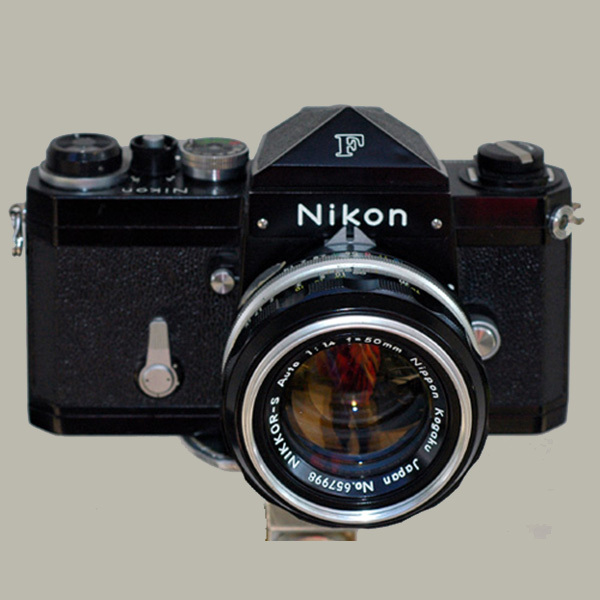 It was commercially introduced in 1839, a date generally accepted as the birth year of practical photography. 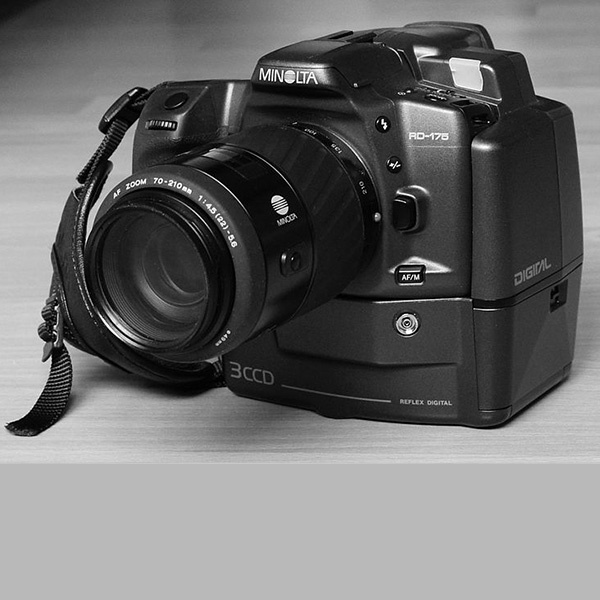 The introduction of computer-based electronic digital cameras in the late 20th century soon revolutionized photography. 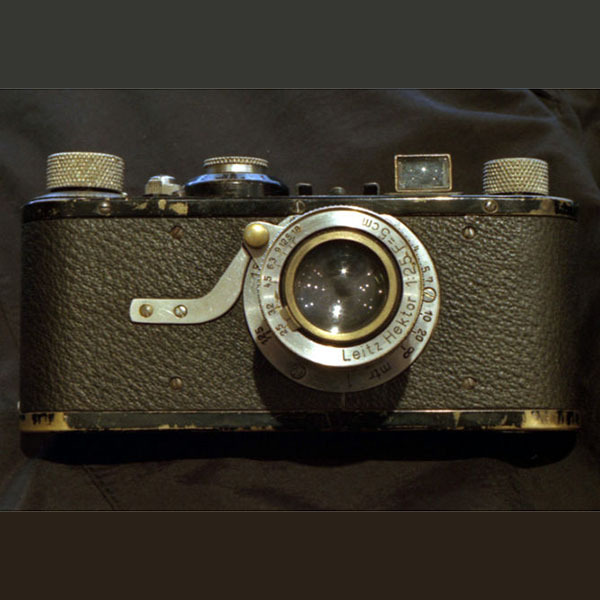 During the first decade of the 21st century, traditional film-based photochemical methods were increasingly marginalized as the practical advantages of the new technology became widely appreciated and the image quality of moderately priced digital cameras was continually improved. The coining of the word "Photography" has been attributed in 1839 to Sir John Herschel based on the Greek φῶς (phos), (genitive: phōtós) meaning "light", and γραφή (graphê), meaning "drawing, writing", together meaning "drawing with light"
Around the year 1800, Thomas Wedgwood made the first known attempt to capture the image in a camera obscura by means of a light-sensitive substance. He used paper or white leather treated with silver nitrate. Although he succeeded in capturing the shadows of objects placed on the surface in direct sunlight, and even made shadow-copies of paintings on glass, it was reported in 1802 that " the images formed by means of a camera obscura have been found too faint to produce, in any moderate time, an effect upon the nitrate of silver." The shadow images eventually darkened all over because " no attempts that have been made to prevent the uncoloured part of the copy or profile from being acted upon by light have as yet been successful." Wedgwood may have prematurely abandoned these experiments because of his frail and failing health; he died aged 34 in 1805. The oldest surviving permanent photograph of the image formed in a camera was created in 1826 or 1827 by the French inventor Joseph Nicéphore Niépce. The photograph was produced on a polished pewter plate. The light-sensitive material was a thin coating of bitumen, a naturally occurring petroleum tar, which was dissolved in white petroleum, applied to the surface of the plate and allowed to set before use. After a very long exposure in the camera (traditionally said to be eight hours, but possibly several days), the bitumen was sufficiently hardened in proportion to its exposure to light that the unhardened part could be removed with a solvent, leaving a positive image with the light regions represented by hardened bitumen and the dark regions by bare pewter. To see the image plainly, the plate had to be lit and viewed in such a way that the bare metal appeared dark and the bitumen relatively light. Niépce had previously experimented with paper coated with silver chloride. Unlike earlier experimenters with silver salts, he succeeded in photographing the images formed in a small camera, producing his first results in 1816, but like his predecessors he was unable to prevent the coating from darkening all over when exposed to light for viewing. As a result, he had become disenchanted with silver compounds and turned his attention to bitumen and other light-sensitive organic substances. In 1833 Niépce died of a stroke, leaving his notes to Daguerre. More interested in silver-based processes than Niépce had been, Daguerre experimented with photographing camera images directly onto a silver-surfaced plate that had been fumed with iodine vapor, which reacted with the silver to form a coating of silver iodide. Exposure times were still impractically long. Then, by accident according to traditional accounts, Daguerre made the pivotal discovery that an invisibly faint latent image produced on such a plate by a much shorter exposure could be "developed" to full visibility by mercury fumes. This brought the required exposure time down to a few minutes under optimum conditions. A strong hot solution of common salt served to stabilize or fix the image by removing the remaining silver iodide. 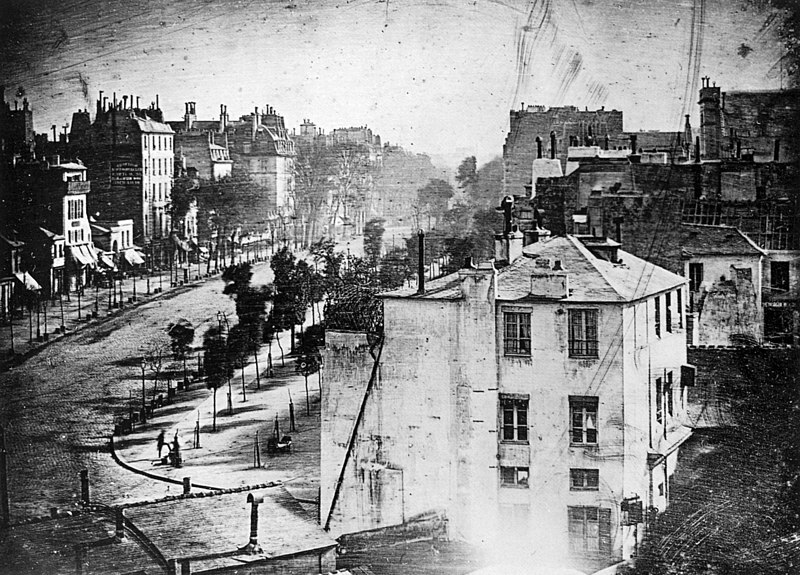 On 7 January 1839, Daguerre announced this first complete practical photographic process to the French Academy of Sciences, and the news quickly spread. At first, all details of the process were withheld and specimens were shown only to a trusted few. Arrangements were made for the French government to buy the rights in exchange for pensions for Niépce's son and Daguerre and then present it to the world (with the de facto exception of Great Britain) as a free gift. Complete instructions were published on 19 August 1839. Talbot's early silver chloride "sensitive paper" experiments required camera exposures of an hour or more. In 1840, Talbot invented the calotype process, which, like Daguerre's process, used the principle of chemical development of a faint or invisible "latent" image to reduce the exposure time to a few minutes. Paper with a coating of silver iodide was exposed in the camera and developed into a translucent negative image. Unlike a daguerreotype, which could only be copied by rephotographing it with a camera, a calotype negative could be used to make a large number of positive prints by simple contact printing. The calotype had yet another distinction compared to other early photographic processes, in that the finished product lacked fine clarity due to its translucent paper negative. This was seen as a positive attribute for portraits because it softened the appearance of the human face. Talbot patented this process, which greatly limited its adoption. He spent the rest of his life in lawsuits defending the patent until he gave up on photography. Later George Eastman refined Talbot's process, which is the basic technology used by chemical film cameras today. Hippolyte Bayard had also developed a method of photography but delayed announcing it, and so was not recognized as its inventor. In 1851 Frederick Scott Archer invented the collodion process. Photographer and children's author Lewis Carroll used this process. Herbert Bowyer Berkeley experimented with his own version of collodian emulsions after Samman introduced the idea of adding dithionite to the pyrogallol developer. Berkeley discovered that with his own addition of sulfite, to absorb the sulfur dioxide given off by the chemical dithionite in the developer, that dithionite was not required in the developing process. In 1881 he published his discovery. Berkeley's formula contained pyrogallol, sulfite and citric acid. Ammonia was added just before use to make the formula alkaline. The new formula was sold by the Platinotype Company in London as Sulpho-Pyrogallol Developer. The daguerreotype proved popular in response to the demand for portraiture that emerged from the middle classes during the Industrial Revolution. This demand, that could not be met in volume and in cost by oil painting, added to the push for the development of photography. 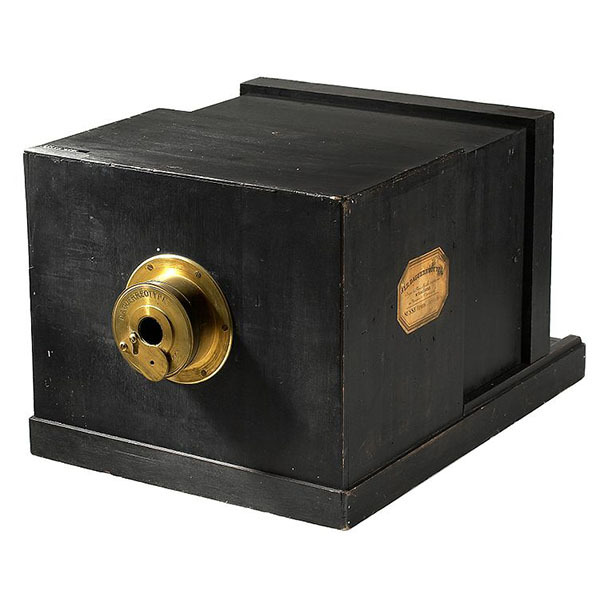 In 1847, Count Sergei Lvovich Levitsky designed a bellows camera which significantly improved the process of focusing. This adaptation influenced the design of cameras for decades and is still found in use today in some professional cameras. While in Paris, Levitsky would become the first to introduce interchangeable decorative backgrounds in his photos, as well as the retouching of negatives to reduce or eliminate technical deficiencies. Levitsky was also the first photographer to portray a photo of a person in different poses and even in different clothes (for example, the subject plays the piano and listens to himself). Ultimately, the modern photographic process came about from a series of refinements and improvements in the first 20 years. In 1884 George Eastman, of Rochester, New York, developed dry gel on paper, or film, to replace the photographic plate so that a photographer no longer needed to carry boxes of plates and toxic chemicals around. In July 1888 Eastman's Kodak camera went on the market with the slogan "You press the button, we do the rest". 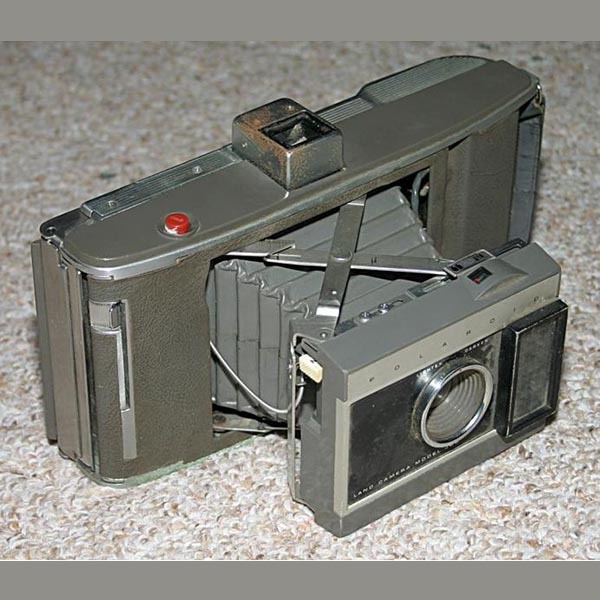 Now anyone could take a photograph and leave the complex parts of the process to others, and photography became available for the mass-market in 1901 with the introduction of the Kodak Brownie. In the twentieth century, photography developed rapidly as a commercial service. End-user supplies of photographic equipment accounted for only about 20 percent of industry revenue. 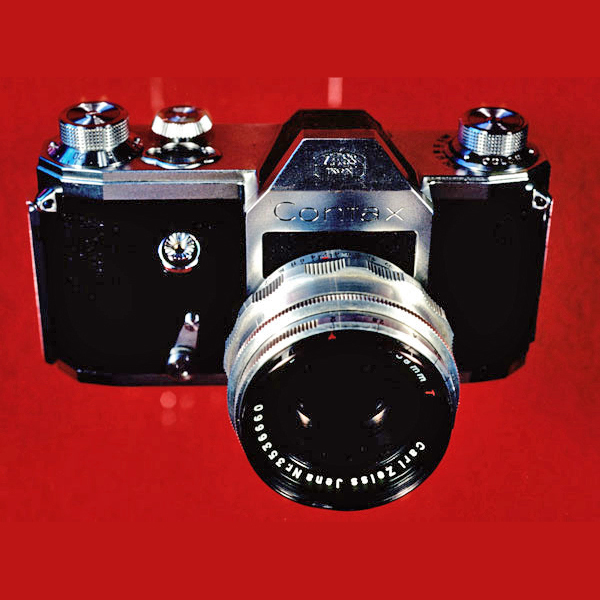 For the modern enthusiast photographer processing black and white film, little has changed since the introduction of the 35mm film Leica camera in 1925. A practical means of color photography was sought from the very beginning. Results were demonstrated as early as 1848, but exposures lasting for hours or days were required and the colors were so light-sensitive they would only bear very brief inspection in dim light. A new era in color photography began with the introduction of Kodachrome film, available for 16 mm home movies in 1935 and 35 mm slides in 1936. It captured the red, green and blue color components in three layers of emulsion. A complex processing operation produced complementary cyan, magenta and yellow dye images in those layers, resulting in a subtractive color image. 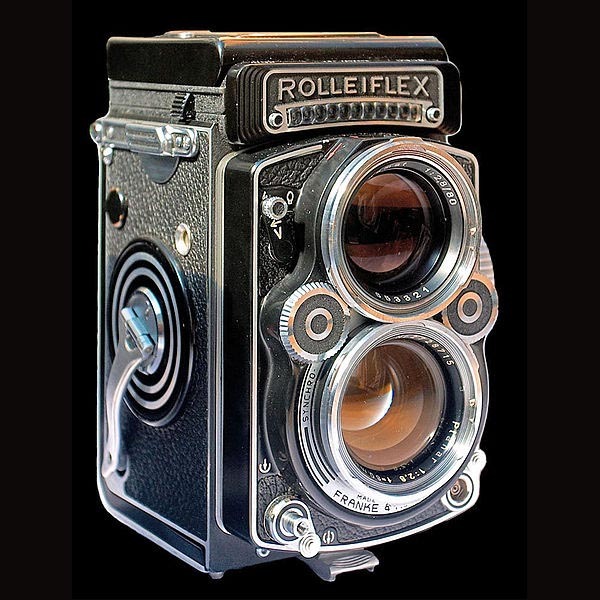 Maxwell's method of taking three separate filtered black-and-white photographs continued to serve special purposes into the 1950s and beyond, and Polachrome, an "instant" slide film that used the Autochrome's additive principle, was available until 2003, but all the color films for making prints and slides currently (2013) available use the multilayer emulsion approach pioneered by Kodachrome. In 1957, a team led by Russell A. Kirsch at the National Institute of Standards and Technology developed a binary digital version of an existing technology, the wirephoto drum scanner, so that alphanumeric characters, diagrams, photographs and other graphics could be transferred into digital computer memory. The first photograph scanned was a picture of Kirsch's son Walden. The image resolution was 176x176 pixels with only one bit per pixel, i.e., stark black and white with no intermediate gray tones, but by combining multiple scans of the photograph done with different black-white threshold settings, grayscale information could also be acquired. The charge-coupled device (CCD) is the most important invention for digital photography. It was invented in 1969 by Willard Boyle and George E. Smith at AT&T Bell Labs. The lab was working on the Picturephone and on the development of semiconductor bubble memory. Merging these two initiatives, Boyle and Smith conceived of the design of what they termed 'Charge "Bubble" Devices'. The essence of the design was the ability to transfer charge along the surface of a semiconductor. 1973 - Fairchild Semiconductor releases the first large image forming CCD chip; 100 rows and 100 columns. The web has been a popular medium for storing and sharing photos ever since the first photograph was published on the web by Tim Berners-Lee in 1992 (an image of the CERN house band Les Horribles Cernettes). 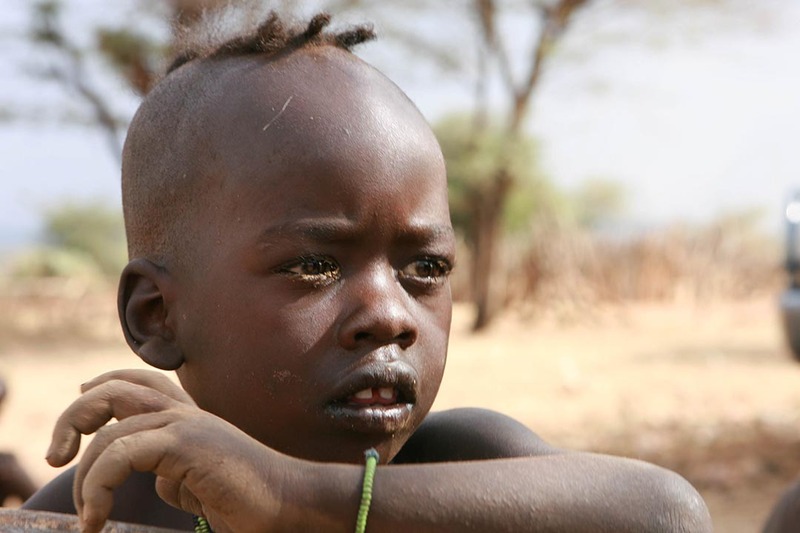 Today popular sites such as Flickr, Picasa and PhotoBucket are used by millions of people to share their pictures.